For roughly a month between the middle of December and the end of January, New Zealand enters into, what is commonly known as, the silly season. It’s summer, the sun is blazing and the beach is calling. Kiwis take their annual holidays – to relax, socialise, spend time with friends and loved ones. Smaller businesses close the doors for a while, alerting customers that they’re away, but they’ll be back soon. People don’t really feel like doing much, other that soaking up the sun and eating and drinking more than they would at any other time of the year. Parliament is closed, there’s very little political news and usually the mechanisms of government quietly churns along – unless there’s some scandal or issue that can’t be put off until February. Media scrambles about looking to fill the void, searching out viable click bait and scintillating tales that will keep the public occupied until business reverts back to normal. For the past week, there has been an unprecedented media frenzy, whipped up to Defcon 1 – with an insatiable public appetite for updates. Is it a happy story of a dolphin, visiting locals on a beach to become a firm favourite and cultural darling? Is it the good deeds of a reluctant hero, plucked from obscurity to save small children from a vicious rip at a beautiful beach? Is it an against the odds victory against a sporting foe? No, it’s the sad and sordid tale of some tourists to our shores who have been abusing our good old Kiwi hospitality. An extended family from the UK has been tearing through the column inches and online soundbites and setting social media ablaze. Since arriving in Auckland, they have created and courted trouble, wherever their overburdened van has carried them. Leaving litter at public spaces, abusing strangers, complaining at restaurants to try and get free kai, walking through fast food drive-thrus, stealing lengths of rope, soft drink, and a Christmas tree, and leaving motel rooms with the stench of kids’ poo. All in all that is not the usual behaviour of villainous posses of marauders, but it has raised the heckles of Kiwis who feel that this family’s behaviour is beyond abhorrent. While the nation waits with bated breath for them to either leave or be deported, various factions of the media follow them around, soliciting the opinions of locals and enticing reactions from the hapless family. Don’t get me wrong, nobody likes people coming from out of town, stinking up the joint with anti-social behaviour, and superior attitudes. But a little context is worth noting, as are some alternative ways of dealing with things such as this, rather than a very public, global condemnation. In the slow news month it seems this family’s exploits have been every news editor’s perfect storm. A running saga where each act outdoes those previously and the public’s indignation can be stoked to a regular and predictable boil. 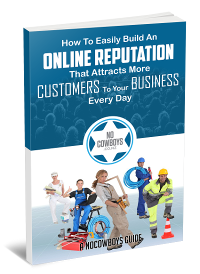 News outlets throughout the world have picked this story up but they have also wondered why it has become such a source of local fascination. I’m of the same opinion. Kiwis take pride in many things, some real, some imagined. We still hold onto the mythology of the number 8 wire mentality, where an industrious sort can take a few things and shape them into an engineering marvel. We believe that we hold to a code – and try hard to live by it. We believe we are friendly, engaging, and inviting. We take pride in out minnow like status, and the amazing sporting and cultural victories we accomplish over larger nations. We punch above our weight. We’re good sorts, generally. But, and let’s be a little honest here as well, we can also be smug, inclusive, and suspicious. That makes sense to me – after all we are a small nation of islands at the bottom of the globe, separated from the rest of the world, for much of our history, by the tyranny of distance. Early on in this story it was reported that a young bloke was waiting outside the hotel where the family was staying in Auckland, hoping to see them, talk to them, set them straight. He wasn’t talking about giving them a seeing to, he wanted too let them know that their behaviour wasn’t all it could be and he was mortified that his grandma may have been at Takapuna beach the day they threw their litter about with gay abandon and told shocked onlookers to get stuffed. I think that was, and should have been the way to do it. A quiet chat, a nice inviting Kiwi sit down over a beer and/or a pot of tea- finding out who these people were. Maybe telling them, in a lovely, friendly way, to pull their heads in, then giving them some travel tips, letting them known the local spots that may not be in the tourist guides. Now that is not some PC gone mad suggestion, it is not overlooking some of the things they have done, it’s just staying true to our perceived sense of who we are, or who we would like to be. Inviting, engaging, New Zealanders – the sort who make visitors feel welcome, even if they are a bit on the nose. I don’t think it would be much fun being chased through the North Island by camera wielding newshounds, waiting for the next outrageous act, to sell more newspapers and get more online visitors. When this family goes back to Britain, they may well end up on one of the many reality TV shows where witless strangers are pitted against each other to survive, all in the guise of public entertainment. As far as I can tell, they would win – they’ve already had a good crack of it in actual reality. But a different story and an alternative outcome would have been far more satisfying. We spend too many hours looking for constant gratification and entertainment, as it is. 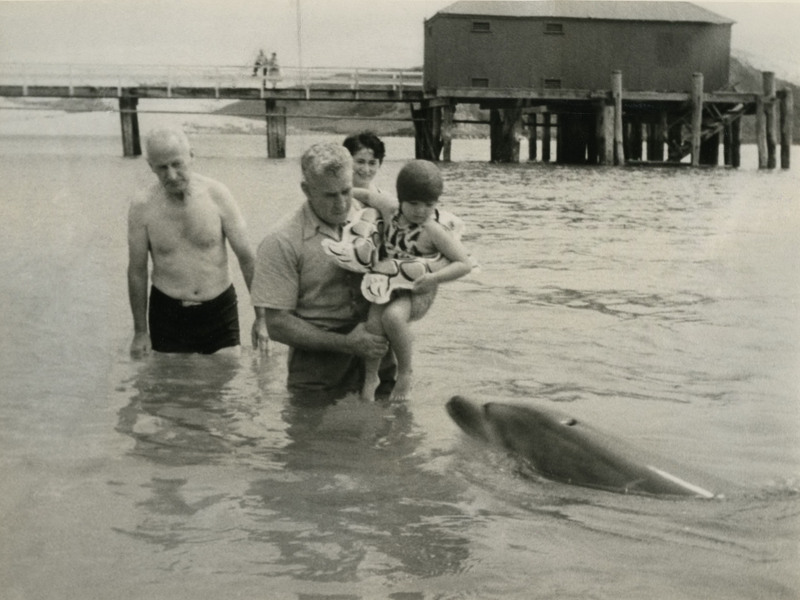 It was a few years before my time, but I think fondly of that other summer media sensation, Opo the dolphin, the adorable little tinker who melted hearts and drew visitors to the Hokianga from across the land. Like today’s tourists from across the seas, Opo became a beacon for holidaying, sun drenched Kiwis, looking for a distraction before the normality of another year kicked in. She is missed.